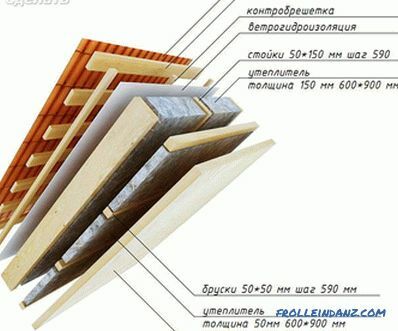 Thermal insulation of the bath is necessary in order to reduce the consumption of energy and wood. In a non-insulated design, the temperature quickly decreases, and it is much more difficult to heat it. Therefore, planning the construction, it is necessary to simultaneously plan and isolation. After all, the process begins with the laying of the foundation. Various impregnations for these purposes will not work. Especially when it comes to the interior of the building. They quickly evaporate due to high temperatures. Therefore, you must immediately select the necessary materials. 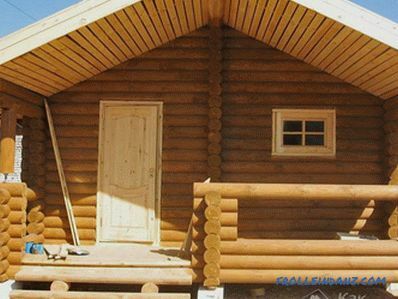 In this article we will explain how to trim the structure from the inside, give explanatory photo and video instructions. First you need to select a material, but not everyone will do. After all, it must meet a variety of requirements so that it can be used here. One of the most important material requirements is non-toxicity. Because under the influence of temperature toxic materials can easily cause poisoning. 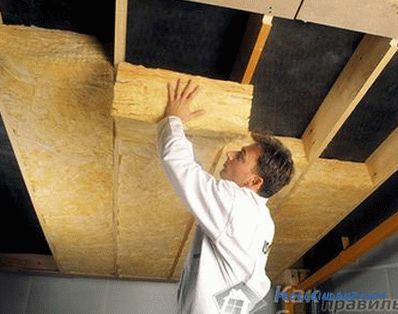 Non-hygroscopicity is also important, the insulation should in no way absorb moisture. All materials can be divided into mineral, organic and chemical. 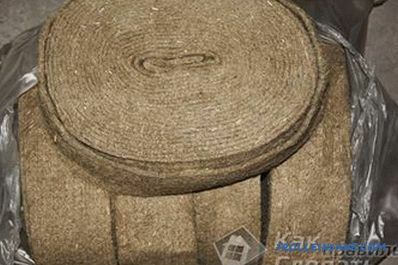 Jute insulation In the old days, natural materials like hemp, tow and moss were used for insulation. Today, sometimes they are also used. The most common of these materials is jute. Moss is not the best way to isolate, it can cause mold and mildew. Therefore, it is not recommended to use it. Organic materials can be used, but not everywhere. They are not recommended in the steam room. We must remember that organic plates are hygroscopic and can be flammable. This material is only suitable for the walls of the waiting room. Mineral insulators often go for internal work. They are non-hygroscopic, resist well to high temperatures and do not harm health. 80% of mineral materials are soft slabs or cotton wool. The best option is stone wool. Plastic materials can also be used in constructions. The most common and durable material of this type is polystyrene foam. Foam glass is an expensive material. The best price / quality ratio is one of the main criteria that most owners follow when choosing materials. Fiberglass mats are one of the materials that meets all the criteria. 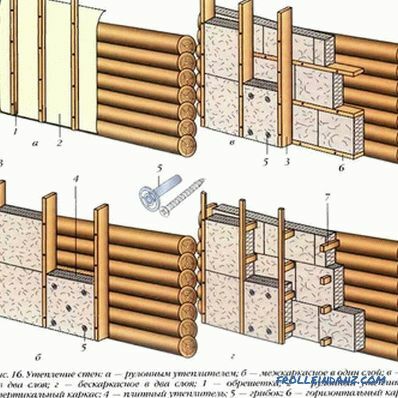 First you need to install wooden bars on the walls. The distance between them should be about 60 cm. 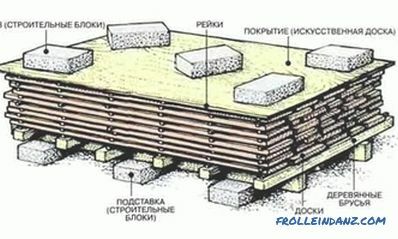 The bars should be reinforced with mats (or other material). If the mats do not have a foil vapor barrier, then install it over it. 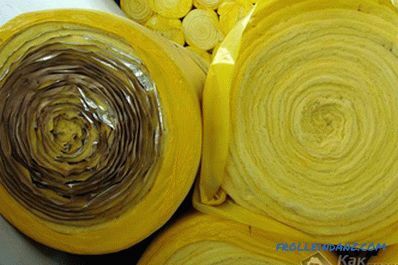 Of course, it is better to buy material with a ready-made vapor barrier. The foil mat must be facing inwards. From above, everything is decorated with clapboard. She nailed right over the mats. Ceiling Thermal insulation of the ceiling is best done using stone (basalt) wool. This material is well suited for walls. It can be used in the waiting room, and in the steam room. Additionally, you need to purchase foiled vapor barrier. First you need to install the batten. Between the slats, roll paper must be reinforced. Mounting is made with overlap. A layer of basalt material is put on the paper. Foil must be put on top. Next you need to install the facing slats on the batten. Now it remains only to reinforce the lining on the ceiling. After finishing work on the ceiling, walls can also be trimmed in the same way. If after some time it was detected on the surface condensate, it is necessary to additionally conduct insulation of the ceiling with expanded clay. Expanded clay - bulk material, it is placed in the attic between the boards. From above, you can cover the material with glass mat. In order to walk freely in the attic, the surface must be coated with clay. You can also put a layer of boards on top. 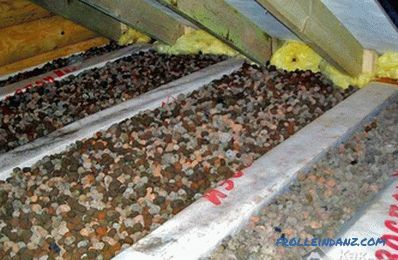 Expanded clay - a good tool for thermal insulation of the roof. A lot of heat can also go through the floor . Before isolating the floor in the bath, it is necessary to choose the optimal material. Good for this fit all the same expanded clay, which was used for the roof and ceiling. It eliminates not only the rapid decrease in the temperature of the room, but also from the appearance of condensation and mold. You can also put slag instead of expanded clay. Material should be placed between the floor log. 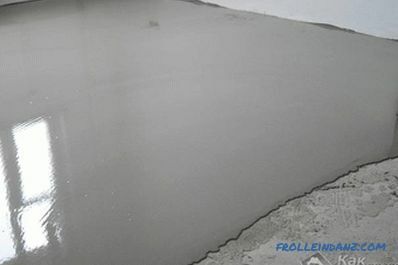 This method is also suitable for a concrete floor. However, it is desirable to isolate the concrete by itself. 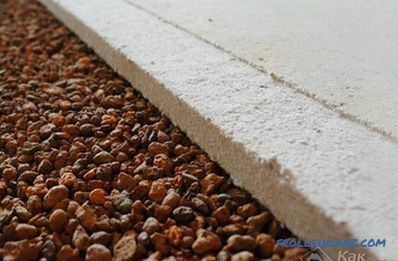 Concrete floor has one main advantage: it serves 3-4 times longer than wooden. If the wooden one needs to be changed after 10 years, then the concrete - only after 30. Expanded clay is put between the layers of concrete. First, the first layer of concrete is made. Then you have to wait until it freezes. After that, a layer of expanded clay 8 cm thick is poured on the first layer. Then on top of the expanded clay is poured a second layer of concrete. This layer must be reinforced. 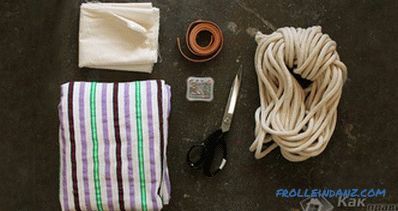 For this, you can use reinforcement or a simple netting net. Next, you need to put a cement-sand screed on top. Concrete flooring may be cold and unaesthetic. Therefore, it is better to lay tiles on top of it. Windows and doors should also be insulated. Gaps can be the reason that the room will always show through. In order to minimize losses, it is necessary to think through the construction of windows and doors at the construction stage. To reduce heat leakage from windows, you can install them a little lower. Another way to isolate windows is to order hermetic double-glazed windows. 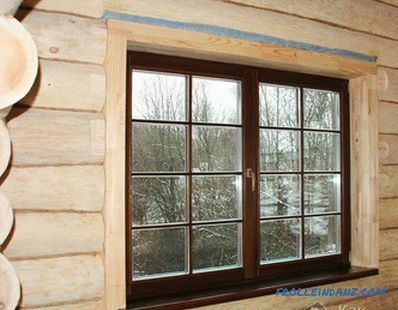 If it is not possible to insert double-glazed windows, then it is necessary to monitor the tightness of the structure when inserting the glasses. It is better to use a good silicone sealant. When installing windows, one should not forget that there must be air exchange in the room. Therefore, the window must always be present. This is important not only for people's health, but also for materials. Indeed, the lack of ventilation can lead to the formation of fungus. 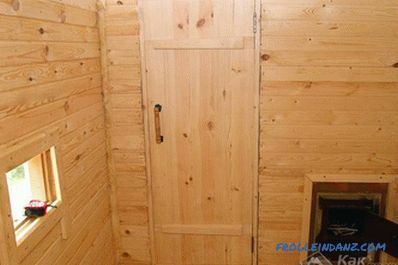 Entrance doors can be insulated with various materials. As for the doors of the steam room, then there is one method: it is necessary to make this opening small. If you look at the device of most baths, you will notice that in some places the door to the steam room is very small and low. Everything should be carried out comprehensively. 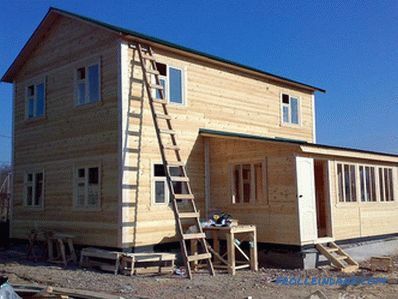 You can not insulate some parts of the structure, and at the same time forget about others. If the whole process is done correctly, then the room will perfectly keep the temperature. The steam room is insulated more carefully, usually it additionally raises the floor. In other parts of the facility do not. 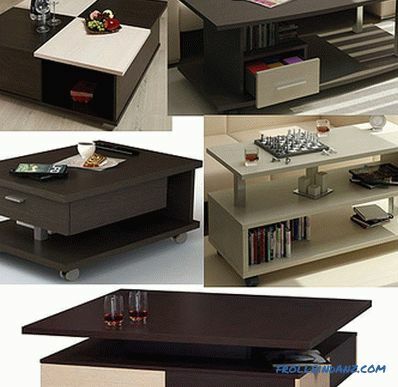 It is not recommended to save on materials, because then you have to carry out all the work again. Quality materials will serve more than one year, providing savings on fuel.